Prestan CPR Manikins - The innovative CPR/AED training manikins that meet the newest CPR standards! Realistic to the eye and touch, the Prestan Professional Manikins are unlike any other on the market. 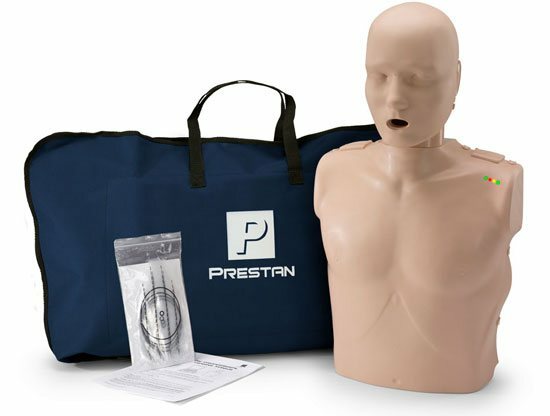 Available individually or in convenient multipacks for group training purposes, Prestan manikins are uniquely designed as a clamshell that accommodates an easy-to-insert, and cost-effective, face shield/lung bag. The American Heart Association has publicized that they “will now require the use of an instrumented directive feedback device in all courses that teach adult CPR skills”. 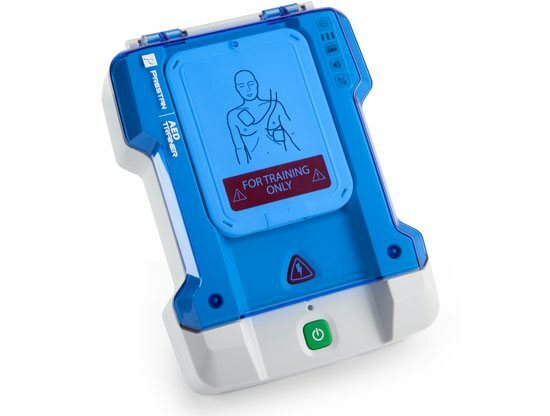 Prestan's revolutionary CPR Rate Monitor is compliant with these 2019 Integrated Feedback Device Guidelines, allowing for instant feedback to both the instructor and student regarding the rate of chest compressions – and they’re affordable! 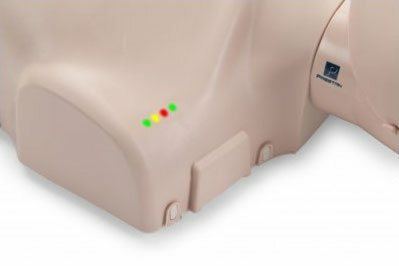 The device available with these manikins are simply placed within the clamshell body, shining lights through the “skin” when compressions are being administered, allowing each student to gauge their rate of compressions on their own, as well as allowing the instructor to simultaneously monitor several students quickly and easily. With the patented face/head tilt, the Prestan Professional Adult Manikin simulates the way an actual victim's head would move if he required CPR. In addition, the unique construction of these manikins incorporates a mechanism to indicate accurate compression depth to, in turn, help students apply the appropriate force when compressing the chest. 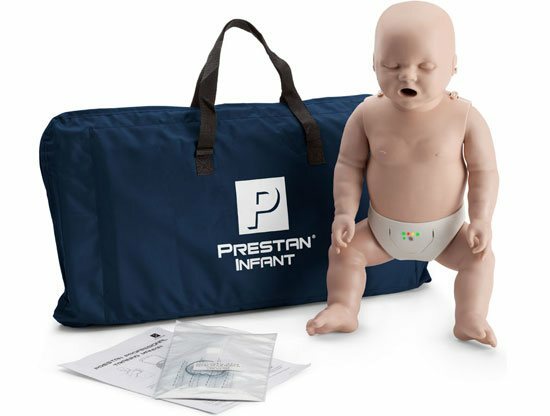 Prestan Professional Manikins were guaranteed to be the future of CPR & AED training manikins – and now the time has arrived for that to come to fruition! There is no better manikin when it comes to CPR & AED training! All Prestan Profession Manikins - Prestan Adult CPR Manikin, Prestan Child CPR Manikin, and Prestan Infant Manikins – are realistically designed, and available with the CPR rate monitor and in multiple “skin” tones! If you are searching for Prestan manikins, look no more! We had the Prestan Manikins (and other Prestan Products) in our product offerings before they were even officially on the market - We pride ourselves on being dedicated to Prestan Profession Manikins to such a degree that we recommend Prestan CPR Manikins for all of our nationwide and international Instructors. 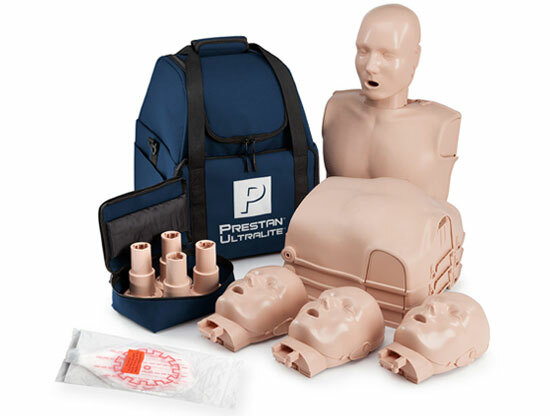 These manikins work for any Bystander CPR class, and the Prestan Rescue Mask Training Adapter is great for training in the use of a bag valve masks (BVM). When considering Prestan CPR Manikins, you can read Prestan manikin reviews - or you can give us a call. We are also an International CPR Training organization with thousands of CPR Instructors, and we have converted entirely to Prestan Products for our CPR training manikins and AED trainers. Why? It doesn't take a CPR Manikin comparison chart to see the value here - realistic CPR Training manikins, with real time feedback, monitors that instructors can read from across the room, and great “skin” developed to clean easily and not allow residue build up from AED electrodes. Then you have maintenance - Prestan Products Professional CPR/ AED Training manikins come with a three year warranty and while it is hardly ever necessary, they stand behind it! The Prestan lung bags and other parts and accessories are very affordable - even their CPR practice faceshields are a fraction of the price of Laerdal face shield rolls or those by WorldPoint – and we prefer the quality, too! So what do you do now? 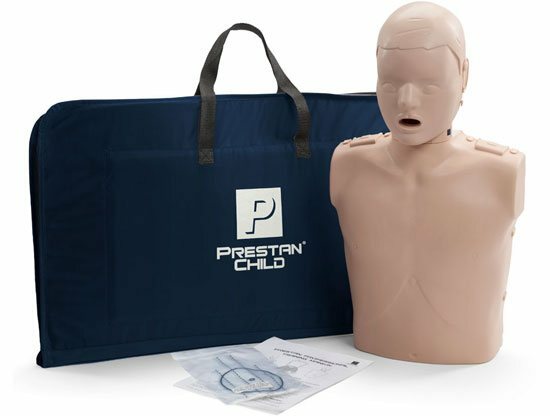 We offer all Prestan products manikins and guarantee the lowest price, so give us a call - whether for Prestan manikin lungs refills, the bilingual Prestan AED trainer, or the amazing Prestan manikins themselves... We're here for all your Prestan CPR Manikin needs - Toll free 12 hours a day or online 24/7! *Free Ground Shipping offer on Prestan Manikins is limited to the 48 Contiguous US States. 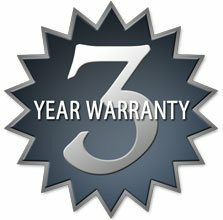 You don't need to cry thrice for warranty coverage... Prestan offers a full three year warranty on all these amazing manikins and - get this - you don't even need to contact the manufacturer! 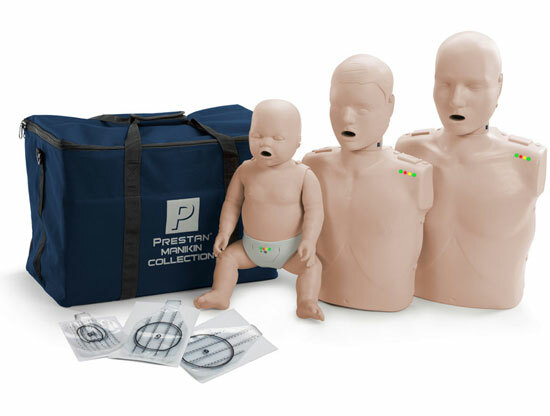 If you have any warranty issues with these great Prestan CPR and AED training manikins you purchased here from us at First-Aid-Product.com just click on the warranty link above and learn how we'll help you get it repaired or replaced. 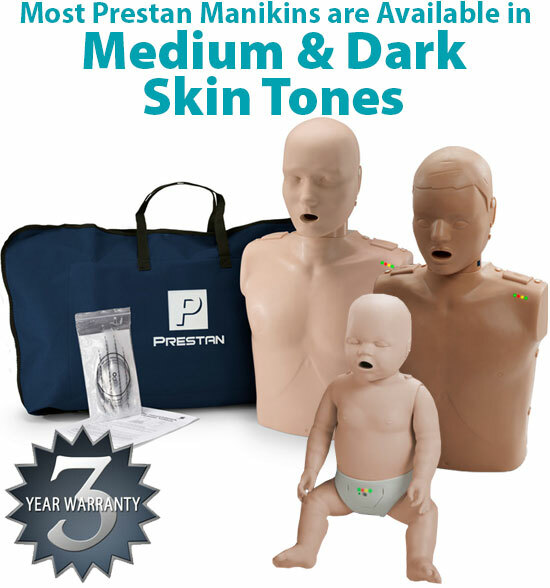 Most Prestan Manikins are available in two skin tones: medium and dark. Prestan's Jaw Thrust Head gives instructors the option to teach with the jaw thrust maneuver or head-tilt/chin-lift. Life-like features and weight allows for realistic infant CPR training. Sculpted body contours and realistic skin feel help prepare students for real life rescues. A head that simulates the way an actual infants head would move. Face/head tilt enhances the CPR learning experience and teaches students how to open the airway during CPR. Prestan offers 2 convenient Specialty Packs, click below to see more. Prestan is pleased to offer our newest and most portable manikin, the Ultralite Manikin. The Ultralite Manikin is amazingly easy to set up and is sold in a convenient and lightweight 4-pack for efficient training-on-the-go. This durable manikin offers an affordable method for CPR training, with all the quality and realism you expect from Prestan. Prestan offers an array of accessories for all our product lines. Click below to see more.